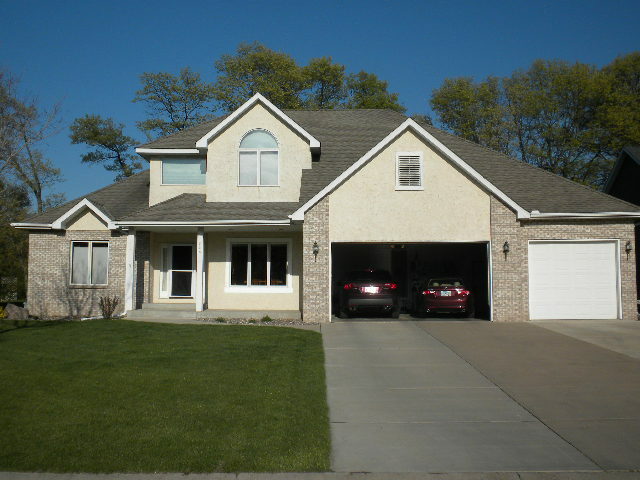 MINNESOTA SIDING DESIGN SERVICES FOR AN UP FRONT LOOK AT YOUR BEAUTIFUL HOME! When Twin Cities Siding Professionals wraps your home in fiber cement siding or vinyl siding, we do more than providing rugged, durable protection against the elements. We’re also make your home more attractive and boost its “curb appeal.” We can even show you how great your home will look before we even start the work! To maximize the value of your siding project we offer exclusive exterior design services that can help you visualize what your home will look like in advance. Working with our professional exterior design consultant, this up front view helps you make the best choices in siding color, styles and patterns. We use a special computer design program that incorporates actual photographs of your home. Using a customizable graphics software process, we transform the photos of your home to show you how it could look with different siding styles, colors and trim. You’ll be amazed by the difference new siding will make in the look of your home! This advanced exterior design service also serves a practical purpose. By choosing your colors, patterns and trim and being able to see them before your siding project begins, we can avoid potential errors and expensive changes once we being the job. You’ll save time and money with this fantastic design service from Twin Cities Siding Professionals. We take the guesswork out of your siding choices by giving you this special “sneak preview” of what your home will look like, and allowing you to choose from a wide array of patterns, colors and trim styles. Let’s get started on your St. Paul siding or Minneapolis siding project today! FIND OUT MORE ABOUT OUR ST. PAUL SIDING DESIGN SERVICES! Discover how we can make your home more beautiful with professional exterior design services. Call Twin Cities Siding Professionals at (651) 967-0873 for a FREE in-home consultation and estimate.